Crave Sydney is a festival that celebrates the cultural and culinary diversity of Sydney. It is a celebration of the lifestyle and attitude that are unique to Sydney and its people! It is a celebration of their yearning for life and its joys, their indulgence and fulfilment! The festival presents a range of events related to food – from hands on cooking classes by experts to cooking demos by internationally acclaimed chefs, from street food markets to food extravaganzas, from exciting recipes of the west to exotic fares of the east, from wine and spirits to coffee and tea, from kids’ kitchen explorations to chefs’ culinary expeditions….and so on and so forth! However, Crave Sydney is not just about food but about a lot of fun and frolic too! One could go island hopping and explore the wonders of Shark Island, Clark Island and Goat Island! If you are game, you could participate in a football-themed breakfast on Sydney Harbour Bridge! Or you could just gobble up oodles of fun in the Night Noodle Market! For the ones who enjoy the finer things in life, Sydney Harbour is the place to head for! Enjoy a stylish lunch on Magistic Cruises and be fascinated by the amazing views of the harbour! Or board a sophisticated dinner cruise and fall under the spell of the glittering harbour lights! Give in to the seafood sensations that are special to Sydney! Music and magic, food and fun – could you think of a more heady combination? You can enjoy all of this along with some scintillating live cabaret on Sydney Showboat while you cruise past the spectacular views of the harbour! Enjoy the Crave while it lasts – and that’s throughout October! Ahoy there mates! It’s Australia Day again! 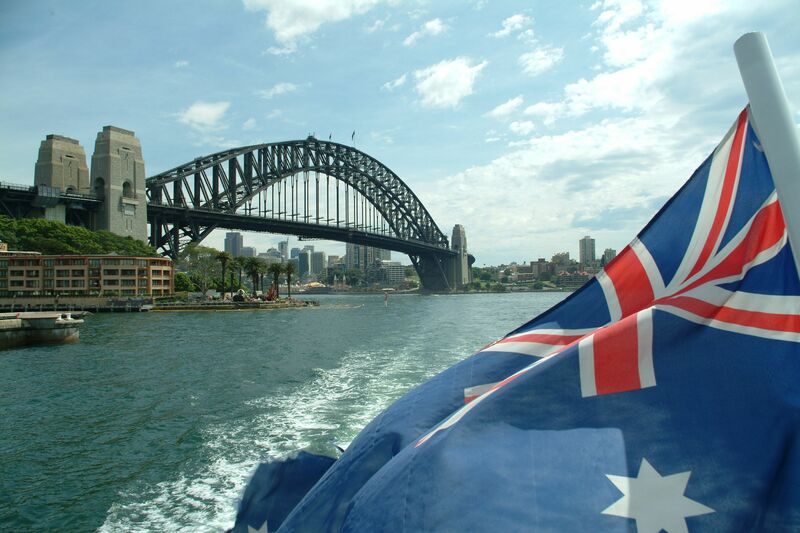 Come January, Sydney gears up for another rocking Australia Day! 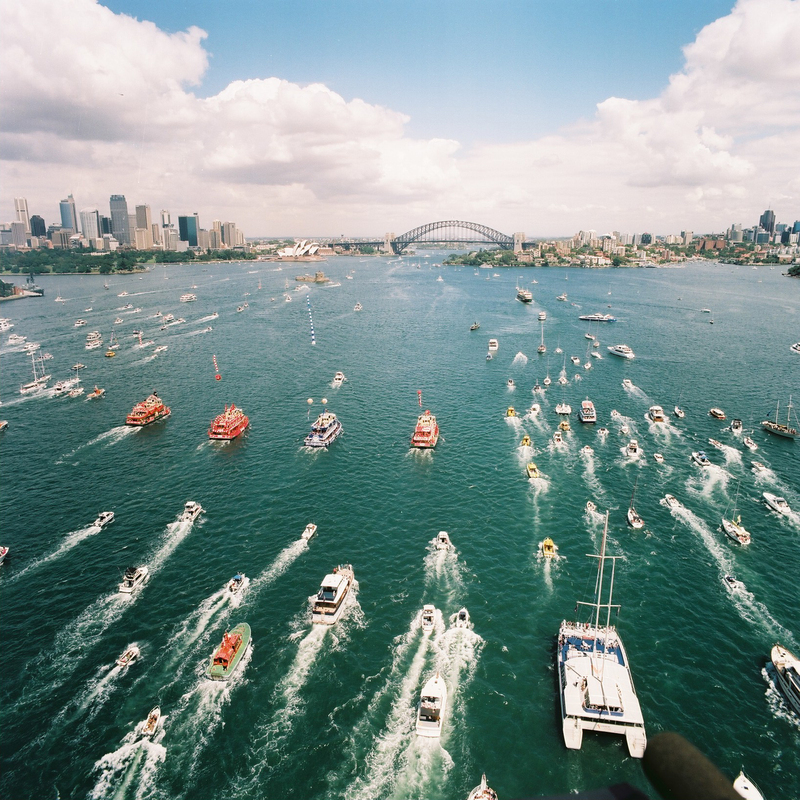 For more than a period of three decades, the most popular festivities of Australia Day have concentrated around the Sydney Harbour and the most popular event during this entire period of time has been the Ferrython. The Ferrython, the famous race of the First Fleet ferries, like the Sydney Opera House and the Sydney Harbour Bridge, has now become iconic of the nation as well as the city of Sydney. People throng the harbour on this day to watch and cheer the Fleet in true Aussie spirit. Adding colour to the spirit is the Australia Day Parade, where various watercraft, including boats, ferries, barges, tall ships, yachts and cranes, dressed up to their best, vie for the title of the Best Dressed Vessel. The awesome aerial display of the Royal Australian Air Force has also been a very popular feature that the Australians have proudly looked forward to over the years, proclaiming their national spirit. The night sees the festivities conclude in a glorious finale with spectacular fireworks that burst in different colours and designs across the Sydney sky. The Sydney Harbour being the hub of activity, there is no better place than a cruise boat to experience the full excitement of the day. There are lunch cruises, dinner cruises, Ferrython cruises and fireworks cruises, to name a few, that take you close to where all the action is. The Magistic Cruises and the Sydney Showboats provide uninterrupted view of the harbour events from their expansive decks, along with reserved seating in air-conditioned surroundings, not to mention freshly prepared choice food. The Showboats dinner cruise presents live entertainment also featuring dance, music, magic and fun! The Tall Ships provide fun as well as adventure as you get to participate in the Tall Ships race too! These cruises sell out fast and quick every year. So check out and book yours, mate, or you will miss the boat! What would you like to buy this Christmas – something arty, something trendy, or something that’s a bit of both? Or would you like to collect something offbeat, quaint, or outlandish? Or, to put it simply, would you like to buy something oh-so-different from the usual conventional stuff? Just hit Glebe Point Road on November 15th where will be held the annual Glebe Street Fair. Books and painting, art and jewellery, candles and toys, crafts and carvings, clothing and rugs, artefacts and curios and a thousand other strange but interesting odds and ends will be on offer along with food and fun and a lot of entertainment, what with all the buskers and the clowns! There will be no traffic plying the road from Broadway to Bridge Road but only shoppers hunting for that special thing that they have always wanted to buy but couldn’t find anywhere else! While the adults go crazy over the knickknacks on offer, the kids can freak out on the joy rides and the fun games! Glebe Street Fair – the right place for just the right gifts for the right people!